A 27-year-old man was arrested after he caught in possession of more than $80,000 in stolen checks and stolen mail from at least 130 local residences, according to the Santa Clara County Sheriff's Office. Justin Rucker was arrested early Sunday after he tried to drive away from a patrol sergeant who initially made contact with him during a vehicle enforcement stop in Saratoga. Officials said Rucker initially stopped, but attempted to recklessly escape by driving through a Saratoga resident's front yard and running several stop signs at a high rate of speed. Rucker eventually lost control of his vehicle, striking a curb during the pursuit. 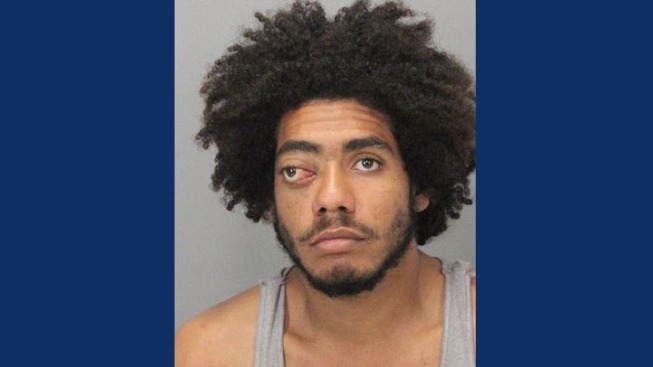 He was then arrested and booked into Santa Clara County Main Jail in San Jose. During the investigation, deputies found Rucker to be in possession of a crowbar, nylon and Halloween masks and several stolen items. The stolen items include assorted mail, credit cards, checks, according to the Sheriff's Office. The mail Rucker was allegedly in possession of was from Saratoga, Los Gatos and San Jose. The mail was returned to the United States Postal Inspector for distribution, authorities said. Anyone who believes they are the victim of mail or identify theft should contact 408-299-2311.